See how this living room looks better when photographed properly with added lighting and enhanced post processing. We pay attention to the details that make our images stand above other, low priced architectural photographer’s images. Notice that we’ve added a fire to the fireplace and an image to the TV screen to enhance the overall appeal of this image. 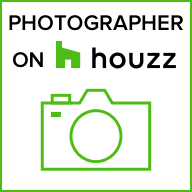 We have 40+ years of experience doing architectural photography in the Chicago area. Don’t just look for price when you hire an architectural photographer, consider the quality of their work and the knowledge they possess that can overcome those challenging rooms and situations. Great Brookfield, Illinois townhouse living room with gas fireplace.